Adolf Rohrbach was born in 1889 and got a job at the Blohm & Voss shipyard right after he graduated as engineer. He then moved to Luftshiffbau Zeppelin in Friederichshafen, near Lake Bodensee. As an aside, Claude Dornier, also worked at Zeppelin at the time. A few years later Rohrbach was transferred to the Zeppelin works in Staaken near Berlin where he worked on the giant Zeppelin bombers. Rohrbach soon became the main design engineer. After WWI, the company started the design of a civilian airliner called the Zeppelin-Staaken E4/20. The airliner was of revolutionary design. It was the first metal stressed-skin design in the world. It had a capacity of 12-18 passengers in an enclosed cabin. It even had an on-board toilet. The airplane first flew during November 1920 with an average speed of 225 km/h. Because of the advanced construction principles, the Allied Control Commission responsible for monitoring Germany’s compliance with the Versailles treaty had the aircraft destroyed, and the Zeppelin company at Staaken closed down during 1921. The stressed-skin design was so advanced, that foreign aircraft manufacturers were lining up to study the design methods (It is worth nothing that it remains the preferred method of aircraft construction to this day!). The huge level of interest prompted Adolf Rohrbach to set up the Rohrbach Metall-Flugzeugbau G.m.b.H. in Berlin in 1922. The Japanese were then building up its design capabilities, and the first order came from Mitsubishi, for two flyingboats using the Rohrbach metal construction techniques. To circumvent the limitations imposed on Germany by the Versailles treaty, Rohrbach set up the Rohrback Metal Aeroplan Co., A/S subsiduary company in Denmark, in 1922, to manufacture the aircraft. The aircraft was designed in the Rohrbach main office in Berlin. The company’s Danish offices were located at Øresundsvej 142 in Copenhagen, just 100 meters from the sea. The Rohrbach company tore down their unused factory in Germany and re-built in in Denmark using German labour. The company also constructed a hangar at Kastrup Lufthavn (Kastrup Airport), a few miles south of Copenhagen. Rohrbach primarily designed large flyingboats, and the first, the Rohrbach Ro-II, was test-flown near Kastrup Airport in Copenhagen during the month of November 1923. The fuselage was constructed using sheet-metal formers and a duraluminium skin. The sheet-metal formers separated the flying boat’s hull into several waterproof compartments, making the Ro-II “unsinkable”. The two 360 bhp Rolls-Royce Eagle IX engines were situated on struts above the wings, with an adjustable rudder that could be rotated, to trim out the aircraft, should an engine drop out. The main wing was constructed using a huge box-spar, with the leading and trailing edges riveted to the wing box. Additional safety features included dual controls and the inclusion of two telescopic masts with schooner-like sails. The narrow wings resulted is reduced drag, and in turn comparatively high take-off and landing speeds. The second Ro-II prototype set a world speed record on the 24th of September 1924, for 500 and 1000 km distances with a cargo load of 500 kg. The speed was 159 km/h, a 50% improvement of the record. Test flight of the Ro-II resulted in the improved Ro-III flying boat. While the wings were identical, the fuselage was completely redesigned, with a new, more ship-like, bow and a step-keel, to better get out of the water during take-off. Incidentally, the modifications were designed by the young engineer Kurt Tank, who later became chief designer at Focke-Wulf. Several (possibly four) Ro-III aircraft were exported to Japan, who used them to study the new stressed-skin design technology. An additional two (Ro-IIIa – with Dietrich engines) were delivered to Turkey during 1926. The Ro-III was also called the Rodra for ROhrbach DRei A. These were in active service until 1930. The British were very keen on getting their hands on the new technology, and acquired, through the Beardmore company, a license to build the Ro-IV aircraft. The Ro-IV was very similar to the Ro-III, but used Napier Lion engines. To prevent the British public from knowing that the aircraft was in fact German, it was renamed the Beardmore Inverness flying boat. Beardmore never really mastered the stressed-skin technology and took five years to complete their first stressed-skin aircraft – the Bearmore Inflexible. Their recommendation to the Royal Aircraft Establishment was that biplanes were safer, and that all-metal aircraft were too heavy to be of any use. The next design from the Rohrbach company was the Ro-V “Rocco” flying boat. This aircraft was designed in Berlin and manufactured in Copenhagen. However, since some of the restrictions of the Versailles treaty were lifted in 1926, more and more of the production took place in Berlin. 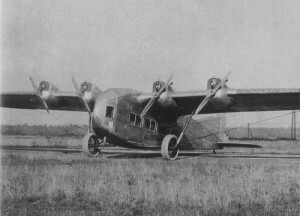 The Ro-V Rocco had its maiden flight in 1927 in Copenhagen. 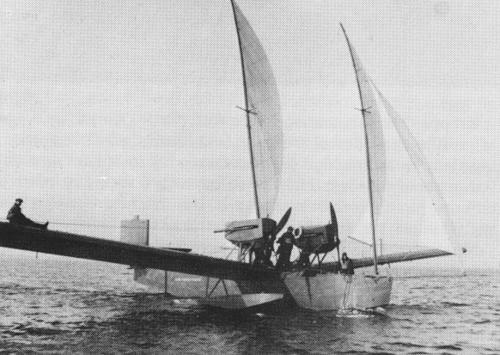 The construction of the Ro-VII “Robbe” was completed before the Ro-V “Rocco” and was a 6-seater flying boat. The aircraft had tapered wings and driven by two engines in a pusher configuration. A modified Robbe II was completed during 1927 and was to be used by Ernst Udet on his attempt at setting an Atlantic-crossing record. He crashed during a test flight, and the east-west Atlantic crossing was cancelled. The Ro-VIII was a tri-motor aircraft. It was not a seaplane, and a total of 18 were designed and built in Germany. The Turks, who were the only airforce actually using their Rohrbach aircraft, as opposed to using them to study stressed-skin construction, were very happy with the Ro-III’s and ordered 50 Rohrbach fighter aircraft. The fighter aircraft were named the Ro-IX Rofix. It was of a very advanced design, with a strutless parasol wing, armed with two 8mm machine guns, and powered by a 450 bhp BMW engine. The Ro-IX Rofix first flew during 1926, but the prototype crashed during a test-flight in January 1927. The second prototype crashed in June 1927, and the turks never took delivery of the aircrafts. The Danish subsidiary company was shut down during 1927-1928. The buildings at Øresundsvej were torn down quite recently to make way to the new Øresund Metro station. After 1928, the Rohrbach company in Germany continued on its own, and went on to design and build the Rohrbach Ro-XI Rosta. It was a development of the Ro-II, and only a single unit was built. During 1928-1929 Rohrbach was busy designing and building three Ro-X Romar prototypes. These large aircraft were designed for trans-atlantic passenger flight and sold to Lufthansa. They had to be taken out of service soon after they were put into service, after several serious accidents. The French ordered a single Ro-X Romar, most likely to study the stressed-skin construction methods pioneered by Rohrbach. The German state had been subsidizing the German aircraft industry for years, and the company had to close during 1931/1932, as a direct result of the economic crisis in the country. The French Ro-X was Rohrbach company’s last order.